W.B. 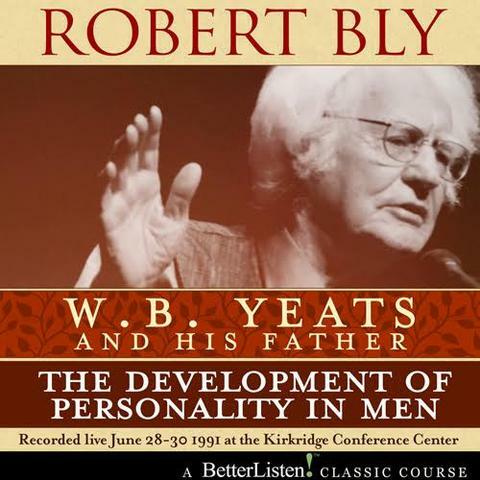 Yeats and His Father: The Development of Personality In Men by Ro – BetterListen! Robert Bly, best-selling author of Iron John and winner of The National Book Award for Poetry has been a cultural icon for many years. Twenty Five years ago Robert gave a weekend workshop in Pennsylvania, the result was a phenomenal program in which Robert explored two of his favorite subjects – W.B. Yeats and the psychology and personality of men. These broadcast quality archival recordings have been edited down into an amazing journey led by one of the great and entertaining American thinkers in recent history. Robert explores the poetry of Yeats and goes deep into his biography to help bring to light the inspirations of his great works. Part english/history lesson, part poetry reading and a deep exploration into the personality of men, this never before released program will be a treasure for long-time fans of Robert, fans of W.B. Yeats and folks new to Robert and his timeless performances. The post W.B. Yeats and His Father: The Development of Personality In Men by Robert Bly appeared first on WisdomFeed.